David Foster Management is a talent agency representing TV presenters, radio presenters, television production professionals and popular artists from the entertainment industry. The company was formed in the early nineties and is now recognised for its excellence in developing artists and providing an exceptional level of service. Originally many of our artists arrived by recommendation, hence a naturally evolved bias towards wildlife which has led to considerable expertise in this area. 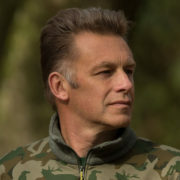 Today we specialise in onscreen presenter talent who are experts in their field – natural history, exploration, science, sports, the arts, marine science, cycling, gardening, antiques and other areas. The cornerstone of DFM’s success has been providing an innovative, responsive and reliable service for media and corporate clients. David Foster Management has built long-term associations with artists, production companies, broadcasters and other clients. The multi-disciplinary DFM team is capable of providing exciting, effective solutions for even the most complex projects. Selecting a manager is one of the most important decisions an artist is likely to make. The David Foster Management ethos is to develop strong relationships with artists, to recognise and encourage their talents and assets, and to provide innovative and exciting new opportunities for their careers. David Foster’s service is underpinned with integrity. He has built his reputation on reliability, courteousness and careful attention to detail in supporting artists. This is his hallmark. The artists that David Foster manage praise him highly. It’s therefore unsurprising that many have come to him from recommendation. has a nationwide reputation for designing highly innovative productions. He has worked closely with many of the leading names in the entertainment industry and is noted for his exceptional service to both artists and clients. First and foremost, he is an entertainment industry specialist. His entrepreneurial skills have enabled him to flow with industry trends and maximise opportunities. 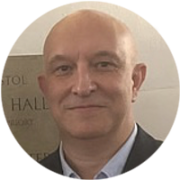 He has wide-ranging management experience, extensive industry knowledge and contacts. From the moment he left school, David Foster developed his passion for the industry. 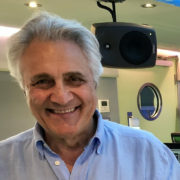 He has his own production company, All-Electric Productions, has worked on stage, in film and on hundreds of television programmes. From the early days of his career, David was developing ideas for productions which would display the wide-ranging skills of artists. Unusually, he has the perception to recognise how to get the best from artists and where they will excel. He has proven this ability time and again. 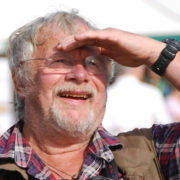 Bill OddieWildlife Presenter, Broadcaster, Author, Conservationist.